. استمتع بالخدمات الراقية والضيافة التي لا مثيل لها بهذا الفندق في هوبارت. لضمان راحة ضيوفه، يقدم الفندق الخدمات التالية: متجر, خدمة التنظيف يوميًا, متجر هدايا/تذكارات, تسجيل وصول/تسجيل خروج خاص, تسجيل وصول/خروج سريع . استمتع بوسائل الراحة الراقية في الغرف أثناء إقامتك هنا. بعض الغرف تتضمن تلفزيون بشاشة مسطحة, اتصال لاسلكي بالإنترنت, اتصال لاسلكي بشبكة الإنترنت (مجاني), غرف لغير المدخنين, تدفئة لمساعدتك على استعادة طاقتك بعد يوم طويل. إن مسار جولف - ضمن 3 كم, حديقة هو المكان الأمثل في الفندق للاسترخاء وتفريغ طاقتك بعد نهار طويل. إن كنت تتطلع إلى إقامة مريحة وهادئة في هوبارت، فستجد في Mulberry Cottage Unique B&B بيتك الثاني. في حال استخدم نزيلان قاما بحجز Garden Cottage غرفتي النوم كليهما، عندئذ يتم فرض رسوم إضافية بقيمة 65 دولار أسترالي. A very nice cottage to stay. Loved our stay at Mulberry Cottage. Maureen was a perfect host, loved the fresh flowers & delicious breakfast of banana pancakes. Easy stroll to village, we hope to return one day & will recommend it to our friends. Thanks again Maureen for a wonderful stay. This garden cottage is so lovely and spatial. We have a very impressive stay here. A nice place just 15 mins from the Hobart International Airport. The cottage is well decorated and we gazed in awe when we check-in the cottage. Every details is so fine and Maureen, the owner touch up these details herself. Nice! The cottage is comfortable and warm during the winter days. Each room has a heater (including the bathroom) so this save us a lot during the cold nights. 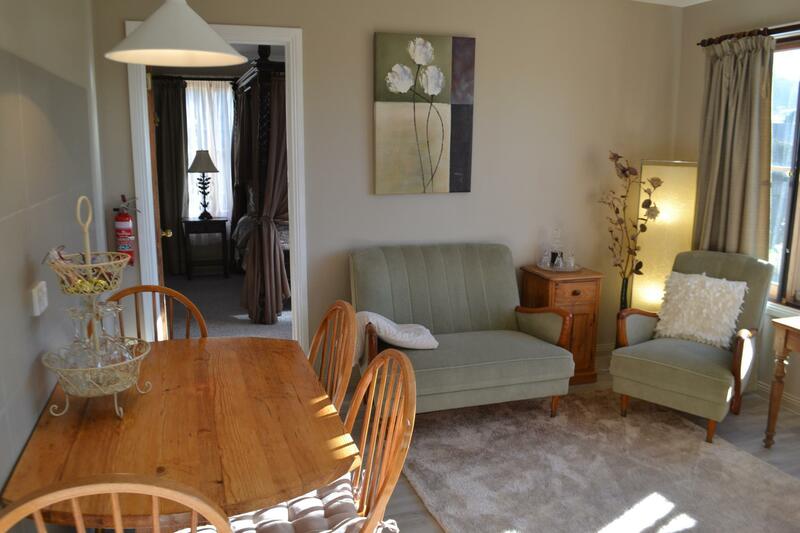 The cottage is self-contained and you can enjoy and relax in the couch provided in the living room. Maureen also left us good amenities and selection of cocoa, tea and coffee and some biscuits in case we are hungry at night as the shops in Richmond closes at 6pm. Maureen's banana pancakes for the breakfast was also very good and her service was very good. We enjoyed chatting with her. The place is close-by to winery and cheese cottage for your discovery. The hotel restaurant in the center of the Richmond town also serves good bar meals and good steak.This is an ideal place if you want to stay near airport. Good design of the room, very nice host even we missed the breakfast and she would cook it for us again. Lovely accommodation, clean, tastefully decorated, comfortable bed, lovely hosts. Very lovely place, wonderful hostess and amazing breakfast. Just go there! Really lovely and clean cottage, the host is really nice and friendly. There are hand made Christmas cookies on the table which are really sweet. The homemade breakfast was really nice, with bread, various fruits, different drinks and homemade apple pie. It's a really good stay in Richmond, a small town. Everything was special - we so loved it and our host. Very glad we stayed there two nights. The effort Maureen went to for my wife’s gluten free breakfast was Masterchef stuff ! Thanks so much . Could not ask for better accomodation. The cottages are just beautiful and Maureen our host was wonderful and so very helpful. We will definitely be back. Loved our Valley view cottage. 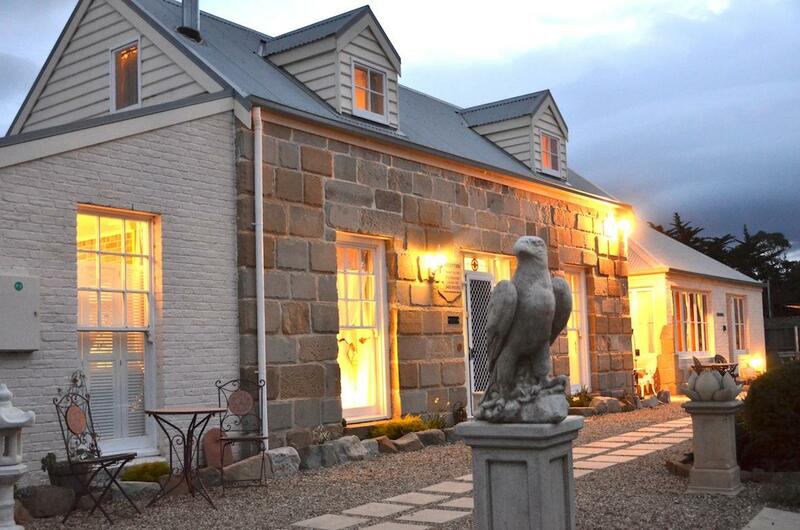 Stayed at Mulberry Cottage on the last night of our Tasmanian break. Originally we did this so that we were close to the airport for our early morning flight, however after staying at Mulberry Cottage we wished we had stayed there for a number of days. The Cottage is everything we were hoping for...including a very comfortable bed!. It is within easy walking distance to the main street of Richmond and Maureen is the perfect host...even making dinner bookings for us at the last moment. A must stay in Richmond Tasmania. Great stay. Wonderful location. Beautiful comfortable, cozy cottage. Very clean. Nicely appointed. Fabulous luxurious antique king poster bed. Host was very attentive. Helpful. Just lovely. As a solo traveller needing to be close to family, this property was just what I needed. Room is clean, well equipped & spacious. Welcome drink was served. We have smooth check-in and very good stay. She provided us very good guidance on the attraction of the town and location of restaurants. The breakfast is surprisingly nice! The View - Stylish, cosy!